Things Left Unsaid is one of the most powerful books I have ever read. This one will definitely be in my top ten books of 2018. Courtney Walsh has crafted a novel that pulls at your heart in a way that you won't even begin to imagine. Lyndie St. James is invited to be her once best friend Elle's maid of honor but she must travel back to Sweethaven to do so, a place she never wants to see again, a place that is the site of incredible hurt for her. She and Elle and Cassie were best friends there each summer, but Cassie died 10 years ago and her parents are planning a celebration of life evening during the wedding week. Lyndie so doesn't want to be there and dredge up all the pain of her last few days there ten years earlier. She is absolutely unprepared for this visit. Cassie's parents and brother, Tucker, have all been keeping secrets, the parents drifting apart for years, not sure if they can even survive as a couple. Tucker turned to alcohol and moved as far away as he could get. He doesn't want to come back, either, but he is following the advice of his pastor to get the hurt out in the open and try to heal. The bride, Elle, also struggles with so many secrets, afraid that if she speaks them out, she will forever be unloved and unwanted. Each of these characters are hiding their secrets, hoping they can some day be free, but so afraid to speak them out and seek forgiveness. But secrets destroy, secrets cripple and secrets tend to be buried by those who bear them. Courtney Walsh has written a very powerful novel. My own heart hurt for these people. I wept through passages as I saw how God moved in the lives of His children. It is not His desire to see His children carry such heavy loads. He wants to relieve us of the pain we carry, but, and it's a big but, will we allow Him to take that load off our backs? 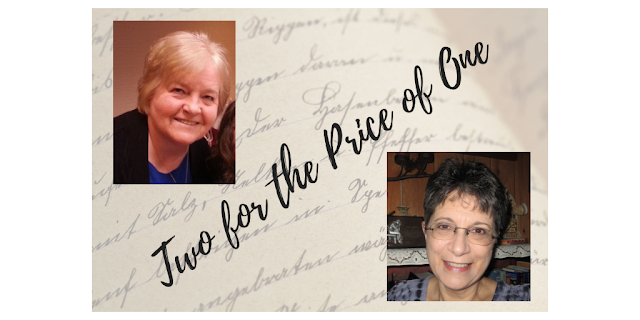 These characters will have to reach that point and decide if they truly can have the courage to shed the secrets and allow God to minister to their hearts. I was so blown away by the incredible amount of emotion in this book! Walsh is at her finest here. Highly recommended. *I was given a preview copy of this novel by Net Galley. My opinions here are entirely my own. This book should come with a warning—your heart is going to be wrenched apart! What a rip-roaring emotional roller coaster ride this took me on. Courtney Walsh has created an amazing cast of realistic, multi-layered, and engaging characters and a background that is heart-breaking. The story is written from multiple points of view of people that are affected deeply by the tragedy of the death of Cassie Jacobs ten years earlier. Her friends, Lyndie and Elle, her brother Tucker and his family, and Elle’s fiancé Travis and his family, all come together with their deep wounds and grief, and feelings of guilt and regret. The author slowly unfolds the happenings of that long-ago tragedy and then starts healing broken hearts and lives. The story is perfectly paced, beautifully written, and vividly shows the effects of not communicating feelings and heartaches with those we love. I loved the tender messages of forgiveness, mercy, redemption, and grace woven throughout the story. 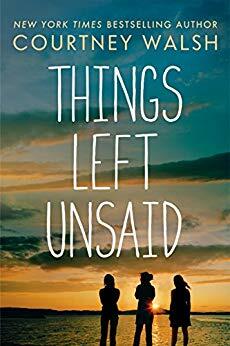 Things Left Unsaid is gritty and realistic, emotional and heart-wrenching, but it also left me with a feeling of hope and a resolve to show forgiveness of others. I’ve read several of Courtney Walsh’s books, but I feel this is her best yet. It’s definitely one for the keeper shelf. *I voluntarily reviewed a complimentary copy from the publisher/NetGalley. All opinions are my own.